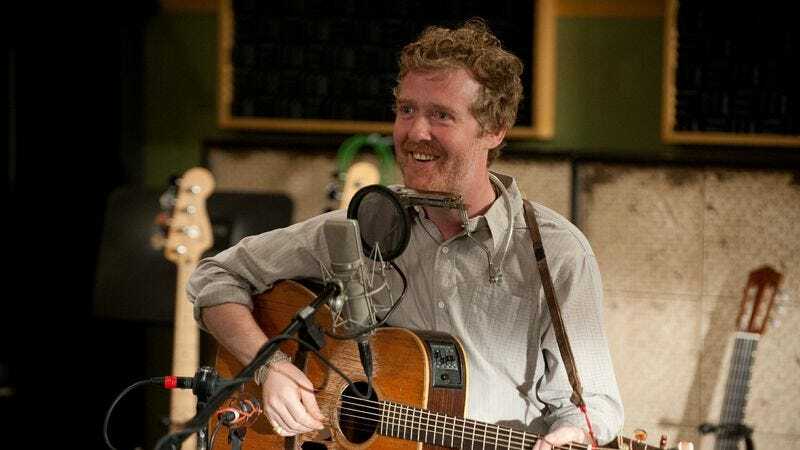 Glen Hansard, the magnetic singer-songwriter known for starring in Once and fronting both The Frames and The Swell Season, will make an appearance as himself on tonight's episode of Parenthood. Hansard will perform "High Hope," the latest single from his solo debut Rhythm And Repose, at Adam Braverman's (Peter Krause) recording studio in an episode that deals with Kristina Braverman’s (Monica Potter) fight with breast cancer. The single was released on iTunes, with proceeds benefiting the Susan B. Komen Foundation for cancer research. This isn't the first time Parenthood has had musicians cameo on the show, as Cee Lo Green dropped by the Bay Area studio in an episode last season, and some other band showed up earlier this year. Catch the A.V. Fest alum tonight at 10/9c on NBC.